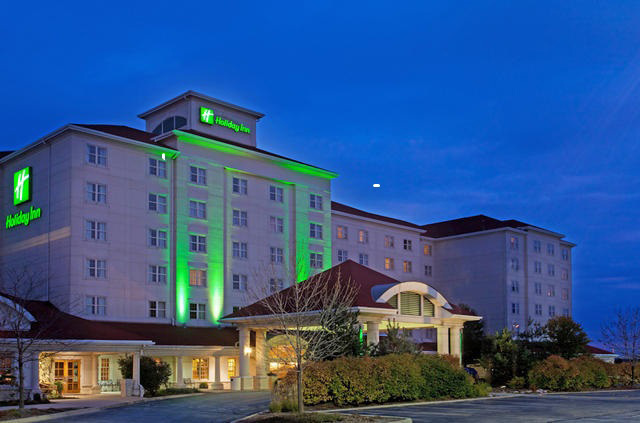 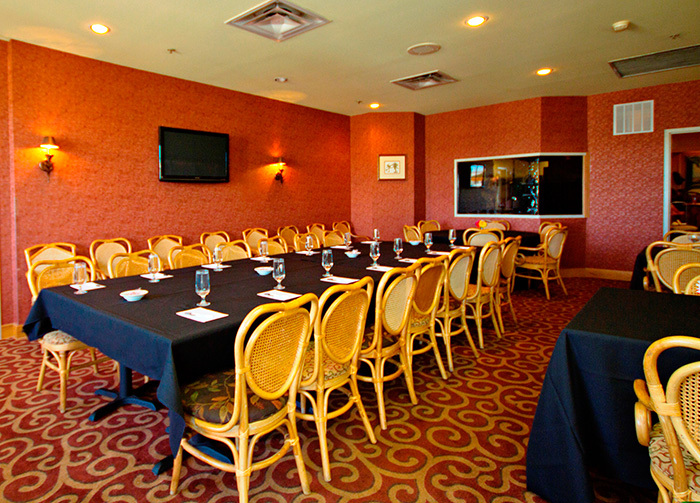 Discover the best at the Holiday Inn Tinley Park, IL. 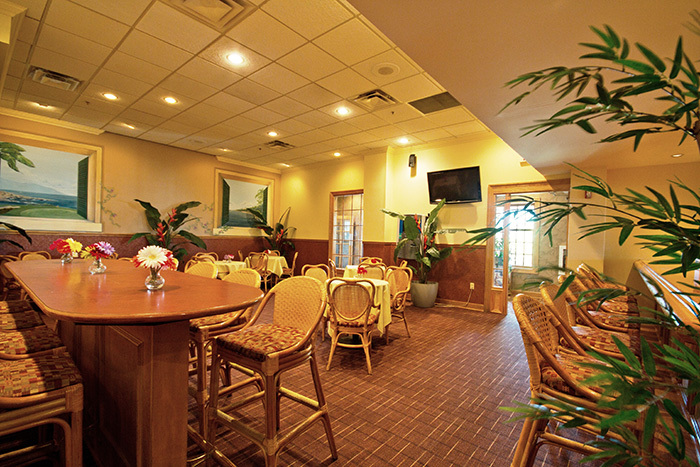 Ease and convenience define this tastefully decorated hotel. 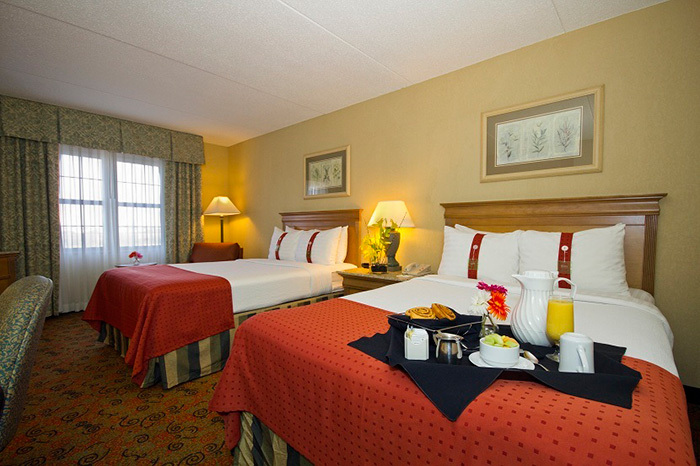 This full service hotel features 202 rooms including 10 suites, with amenities that will appeal to both families and business professionals alike. 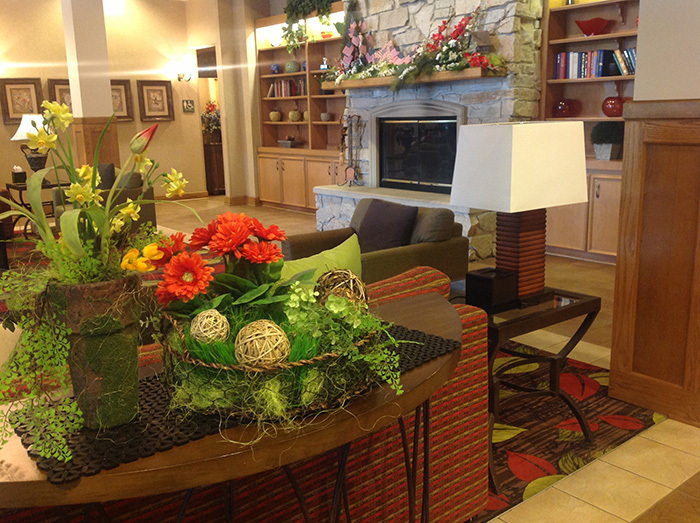 The inviting lobby welcomes guests with its “home away from home” ambiance with the crackling fireplace and seasonal decor. 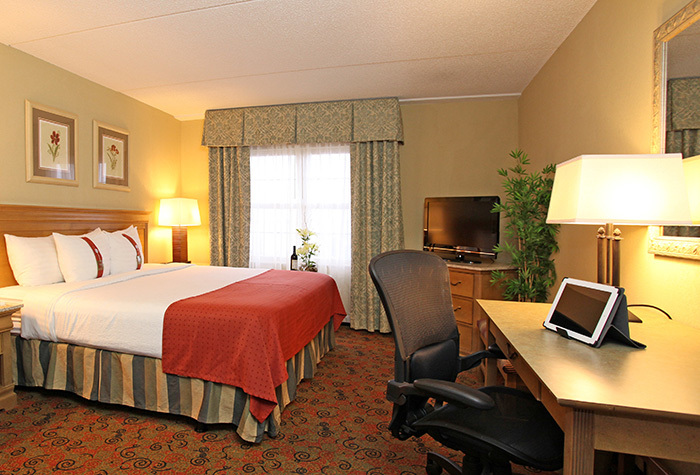 Retire to a comfortable guest room or suite with modern, useful amenities such as a large work desk with ergonomic chair, 32-inch flat-screen TV, individual climate control and high-speed wireless Internet access. 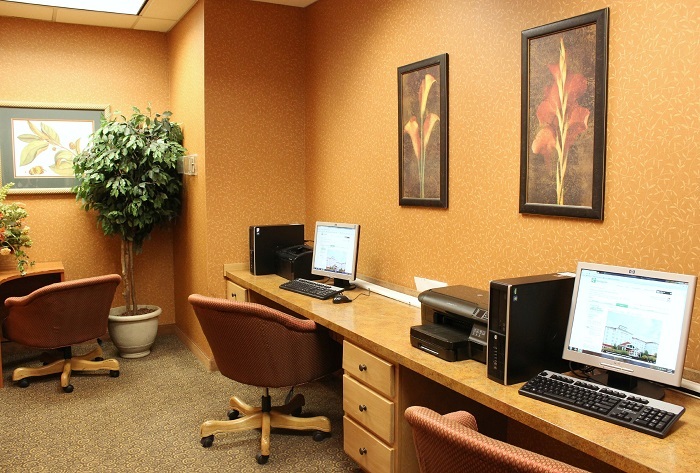 Registered guests have access to the 24-hour business center as well as complimentary wireless high-speed Internet throughout the hotel. 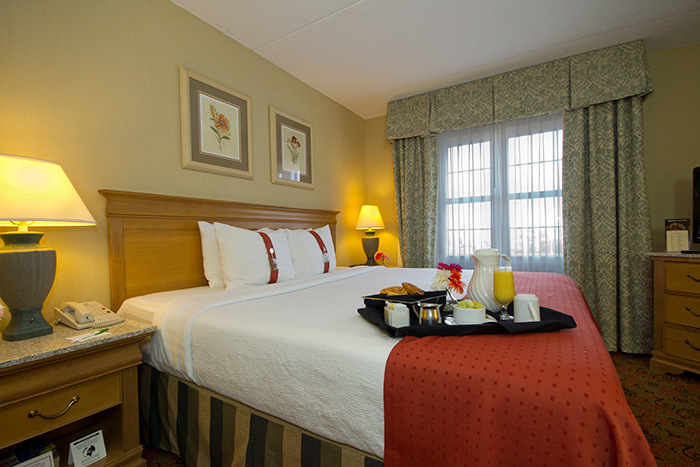 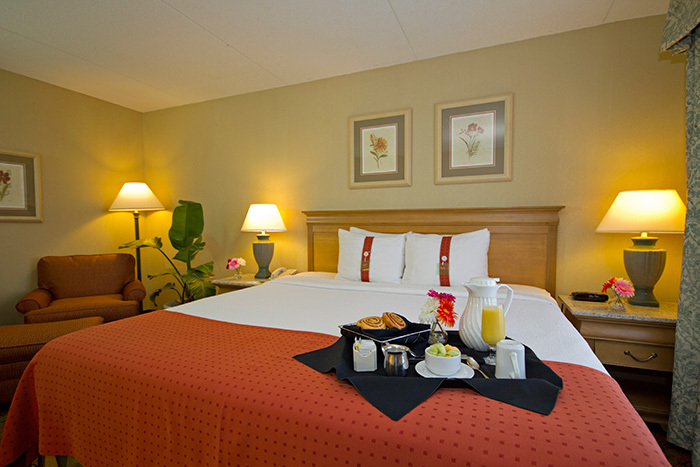 Holiday Inn is the premier accommodation choice for conventioneers. 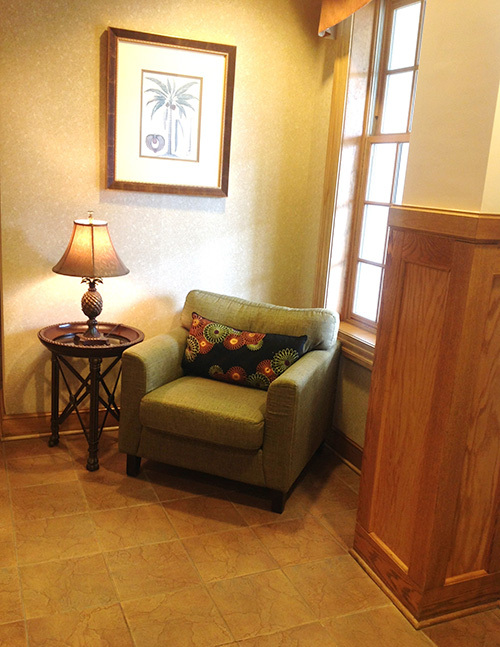 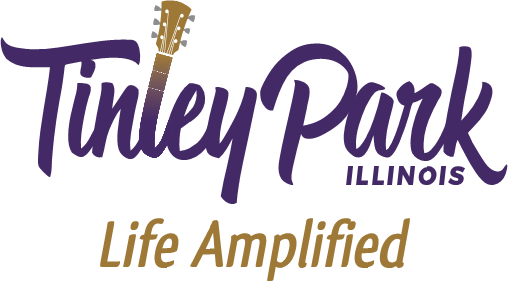 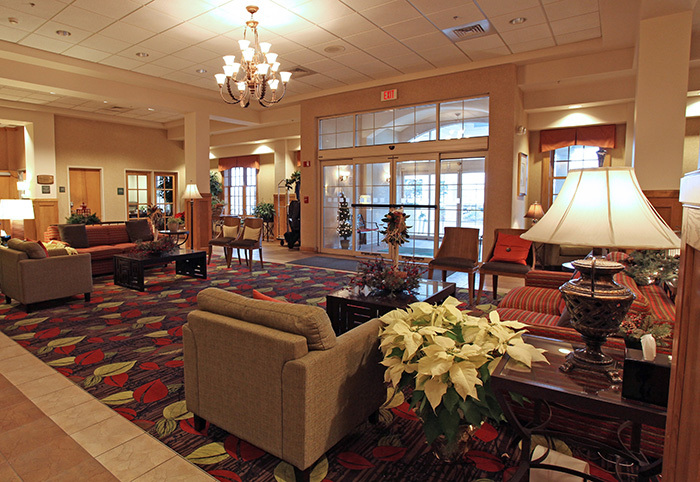 A link hallway provides easy access and shelter from inclement weather to the adjacent Tinley Park Convention Center. 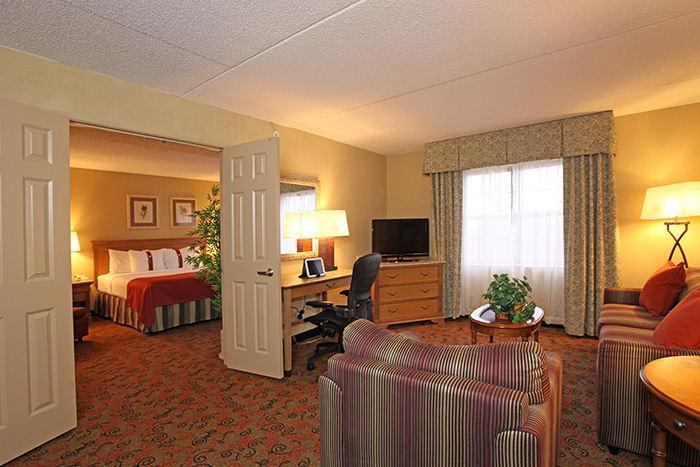 After a day of meetings, work out at the fully equipped fitness center or swim a few peaceful laps of the indoor pool. 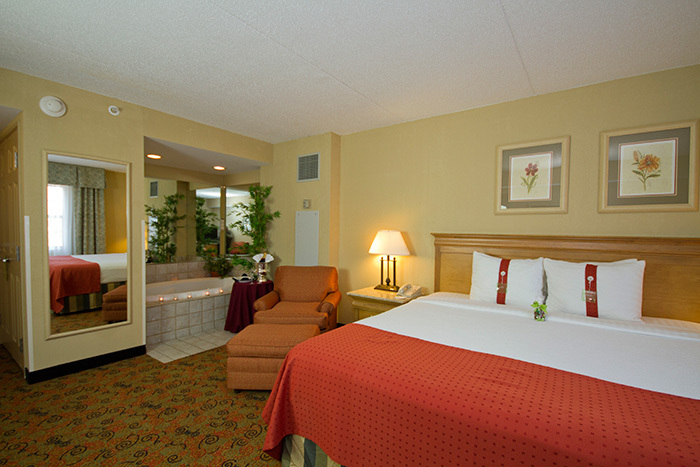 Relax in the whirlpool—the perfect way to unwind. 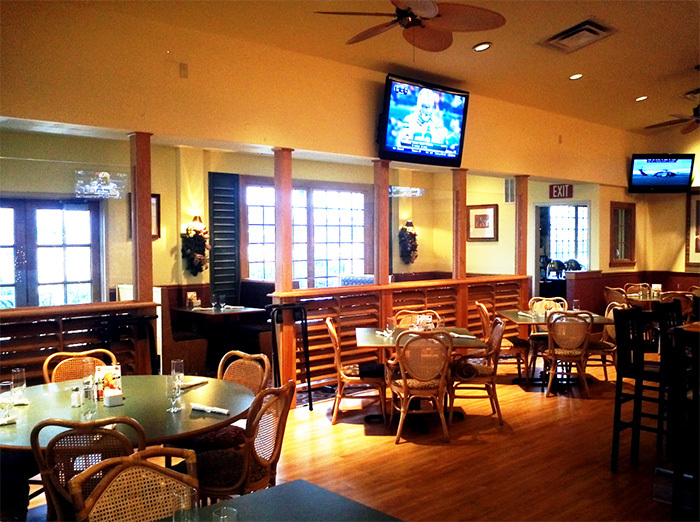 Open for breakfast, lunch, dinner and late night bar food, Bananas’ casual ambiance is welcoming for families and business travelers alike. 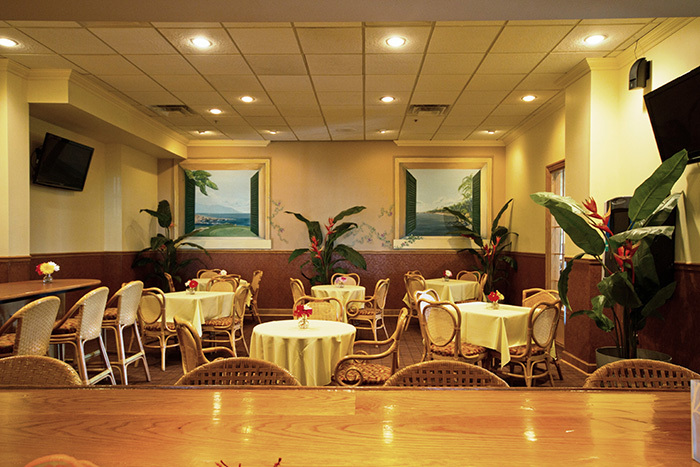 Offering a variety of home-style contemporary American cuisine, the menu features Bananas signature dishes, daily specials, and an array of homemade soups, sandwiches and entrees. 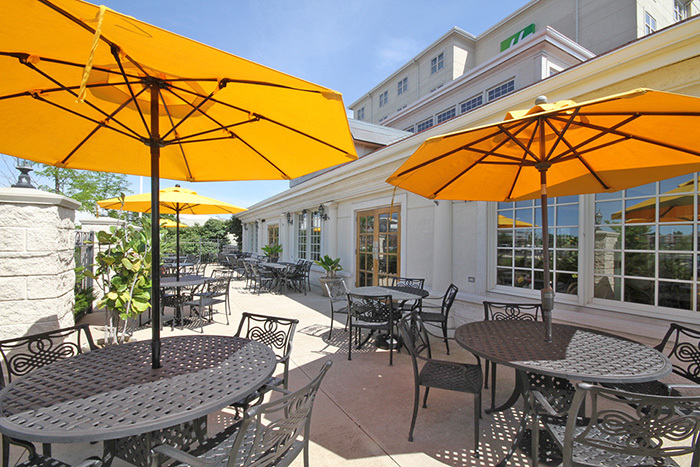 Unwind with friends and family at the bar, or weather permitting, on our outdoor patio. 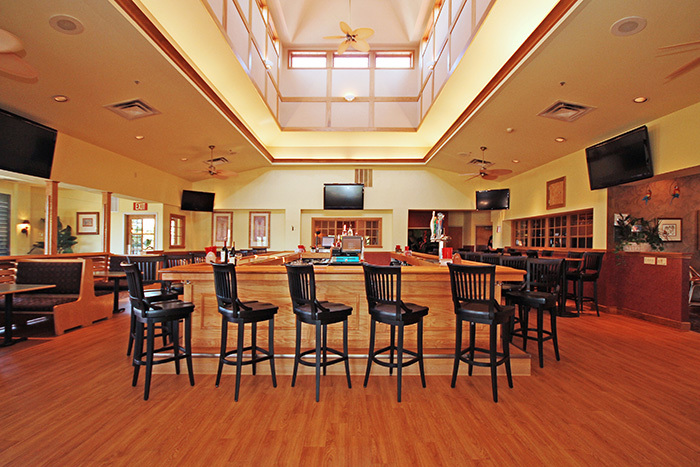 For sports fans, Bananas Grille & Bar has 12 HD televisions perfect for catching the big game or a round of golf. 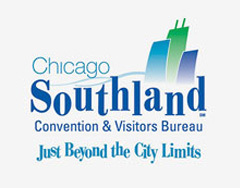 Sunday – Thursday 6 a.m. - 11 p.m.; Friday-Saturday 6 a.m. - 1 a.m.
Daily 6 a.m. - 11 a.m.
Sunday- Thursday 11 a.m. - 11 p.m.
Friday – Saturday 11 a.m. - 12 a.m.